It's an Amaro - a type of bitter/herbal aperitif that have been popular for more than a century - famous for it's use in the Negroni or Spritz. We like to take an Australian-spin on things - and dry aperitifs seem to epitomise a renaissance in contemporary Australian drinking. It just so happens that seemingly - 90% of all native Australian botanicals are also intensely bitter. Probably something to do with the harshness of our climate - and one native ingredient stood head-and-shoulders above the rest when it came to Økar - Riberries. Otherwise known as Lilly Pilly. 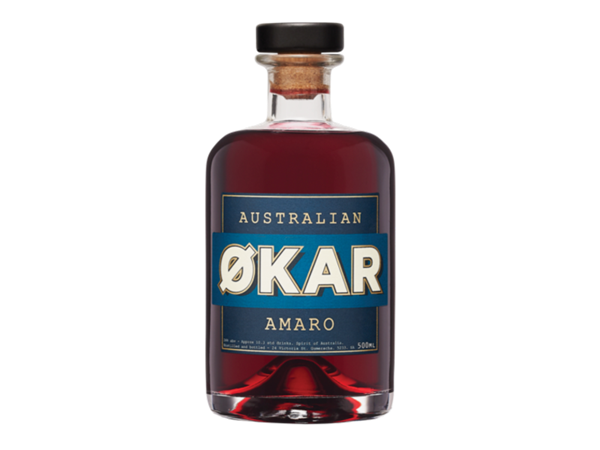 The Riberry's cranberry-tartness, hints of clove and bark-like bitterness make it well-suited for an Australian aperitif. Riberries aren't the only stars in this beverage - alongside we see Davidson Plum, Finger Limes, Lemon Myrtle, Saltbush, Rivermint, Peppermint and Strawberry Gum Leaves (just to name a few!). 666 Pure Tasmanian Vodka is a taste of Tasmania, so we handle every stage of production carefully, ensuring all the flavours of the beautiful natural environment stay in the bottle. 666 Pure Tasmanian Vodka starts life as Tasmanian Barley. It’s harvested, mashed and fermented in Tasmania. As with every element of our production, we handle our fermented barley gently, moving from fermentation to slow, single batch distillation using copper pot stills. After pot distillation we mellow the spirit with charcoal. This final filtration is done very slowly, using only the highest grade activated charcoal, ensuring that we remove all the impurities, but retain the character and flavour of our delicious Pure Tasmanian Vodka. The final stage of production is blending our pure vodka with the world’s purest rain, Cape Grim Water. Cape Grim, on the north west tip of Tasmania, just along the road from our distillery, has the world’s purest air and water.